Most of us want so much to be understood. It’s rare to find a person who can understand you; it’s easier to find a book like that. It was amazing how ‘The Perks of Being a Wallflower‘ understands the subtle parts of my own life & thoughts. It was a wonderful experience reading this one. If you’re a little different (and all people are), then this book is about you. It’s a story of your struggles and happiness. To be honest, it’s not a well written book. I still can’t make sense of why it’s written in the forms of letters. None of the ‘letters’ read like one. I even felt that it’s full of cheesy-quotable-quotes. But all that is forgiven in this case. Or all that, maybe, is justified here in this format. There is something wrong with Charlie‘s head. He is that extra sensitive types—even a little eccentric at times. 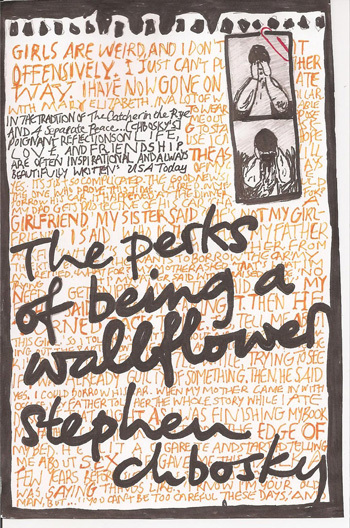 ‘The Perks of Being a Wallflower’ is his coming-of-age story. It’s a story about being different. Being a wallflower. It’s about relationships—with parents, friends, lovers, haters, and above all—self. This one made me cry at times, smiled at others. And often it stirred up so much that I had to put the book down to think for a while. And at times, I was shocked at how it could capture the undefinable subtleties of certain emotions. It’s a wonderful experience to live through. If nothing else, it will make you want to cherish your life more. Each moment. But I hope it turns out to be a good friend to you, this book. Published on April 27, 2014. Updated on April 27, 2014.